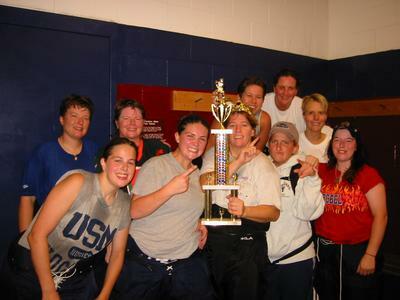 .....is a group of women all with the same goal.....to play ice hockey and have fun doing it. NO POLITICS......JUST HOCKEY!! We vary in age and ability, but we're consistent in our desire to play the game hard, show good sportsmanship and have a great time. We have chosen to organize this group as a travel team participating in various tournaments throughout Maine, NH, Vermont and Massachusetts. Our home ice is at the Phillips Exeter Academy arena in Exeter, NH.